I think I got five hours of sleep last night. I quickly got up, grabbed my $3 special and headed to community groups. John Piper met with us leaders to encourage us in our respective ministries. He spoke from Matthew 6:25-34 on this topic of anxiety. He encouraged us not to be anxious about tomorrow or this upcoming year 2013. 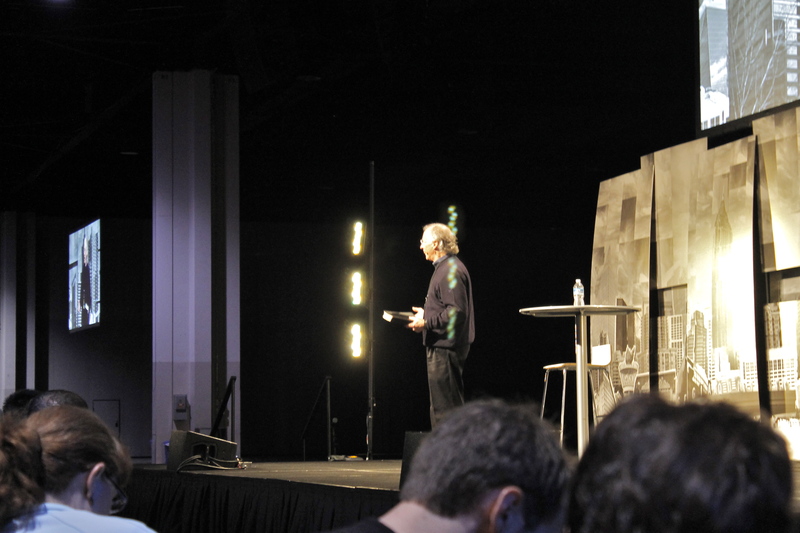 Dr. Piper first talked about scripture and three ways of how to approach it – Memorize it, Analyze it and Believe it. The original authors did not intend for the books to be split into chapters. He encouraged us to read scripture with the whole book in mind. If we don’t do this, will have a tendency to become moralists (one concerned with regulating the morals of others). He then talked about faith. Pray and let your requests be known to God! One thing I took away from this morning was the importance of memorizing scripture. Just seeing Dr. Piper quote long passages of scripture showed me the importance of letting the words of God sink in. I pray that I will spend more quality time in the Word this coming year and truly allow scripture to penetrate me.